The Singapore Taekwon-do Academy is synonymous with Traditional TaeKwon-Do which is one of the more popular martial arts practised here, attracting many students from the age of six to sixty beyond. 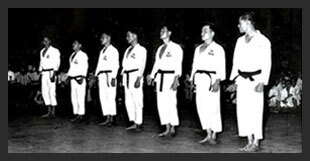 Traditional TaeKwon-Do is the Korean martial art formulated by General Choi Hong Hi who introduced it to the world in 1955. It is common to associate Traditional TaeKwon-Do as an art with the spectacular breaking of 20 roof tiles with the fist or the splitting of 3 pieces of boards with a flying kick. This is a fallacy. Traditional TaeKwon-Do is more than just a physical art and actually encompasses the spiritual aspect as well as the moral principles of life. To truly understand the meaning of TaeKwon-Do, it is pertinent to know that "Tae" means to "jump, Kick or smash with the feet", and "Kwon" means "to block, punch, strike, or smash with the hand or fist". "Do" means "the way of the Art". Thus, Traditional TaeKwon-Do can be literally translated as the "way of the Art of using one's hands and legs for combat and defence". However, the purist of the true exponent of TaeKwon-Do will always strive to develop and perfect the skills to his pinnacles, whilst simultaneously attaining the virtues of humility, patience, tolerance, discipline and endurance. Thus, regular and systematic training of Traditional TaeKwon-Do in the proper and correct manner of the full potentialities of man, both physically and spiritually. 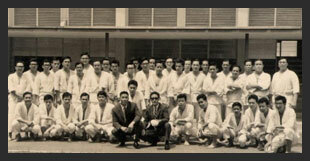 Singapore Taekwon-do Academy was founded in 1971 by Grandmaster B.S. Huan. It is a tribute to Grandmaster B.S. 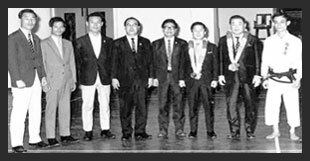 Huan's dedication, leadership qualities and organisation abilities that Singapore Taekwon-do Academy was able to expand so rapidly since its inception. 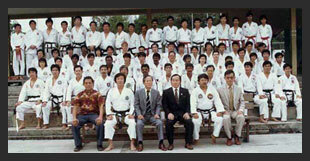 Today, Singapore Taekwon-do Academy can proudly boast of having more than 100 clubs with thousands of members. All Singapore Taekwon-do Academy instructors are dedicated and imbued with responsible professionalism and have been carefully tested and trained by Grandmaster B.S. Huan before they are allowed to teach. Grandmaster B.S. Huan fervently believes in the proper, correct and systematic training of his students to enable them to truly understand this noble art. This allows them to develop their physical and spiritual potentialities to their respective zenith. His exemplary conduct and professionalism have always inspired and motivated all his students and instructors. Today, Grandmaster B.S. Huan is one of the most respected figures in the martial art circle in Singapore. 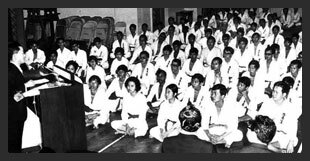 Many people revere him as the "Father of TaeKwon-Do in Singapore" because of his many achievements which cannot be disputed. Grandmaster B.S. Huan has personally taught over 100,000 students during the past 40 years and was one of the pioneers of TaeKwon-Do in Singapore. Grandmster B.S. Huan has written an internationally-acclaimed bestseller "Tae Kwon-Do", first published in 1975, when he perceived and recognised the needs of martial art enthusiasts who do not have the opportunity of training under a Master. His book has been reprinted eight times and has attracted and drawn many foreign instructors who fly to Singapore to receive advanced training from him. In fact, the Singapore Taekwon-do Academy is regarded by many foreign TaeKwon-Do students as an International head-quarters of Traditional TaeKwon-Do and letters from all over the world are received continuously by Grandmaster B.S. Huan to join his Academy. Grandmaster B.S. Huan has already established his worldwide schools, a fact he is very proud of. Grandmaster B.S. Huan has written a second book on advanced techniques "Olympic TAEKWON-DO ' Fight to win' "
Grandmaster B.S. Huan always emphasizes on the importance of basic training, mastery of the Hyungs (Patterns), proficiency in set sparring, skill in free sparring, correct breathing, power development and the development of internal strength ("气"). Free sparring sessions are always conducted under discipline to avoid injury. Grandmaster B.S. Huan constantly extols on his students the importance of cultivating the virtues of humility, patience, tolerance, discipline and endurance. Grandmaster B.S. Huan also hopes that the effective promotion of Traditional TaeKwon-Do in the various Centres will help to keep idle youths and students away from drugs and mischief, and simultaneously, build a more rugged society. Grandmaster B.S. Huan believes that TaeKwon-Do will eventually transcend all barriers of race and religion to unite all his students with one common aim, that is to learn and perfect Traditional TaeKwon-Do. Grandmaster B.S. Huan said that parents and children practise TaeKwon-Do together will build a strong tie and bonding.